Do you remember my post from a few weeks ago, asking whether women are truly a minority group in business? Well. It turned out to be one of those rare blog posts that snowball into a great big whoosh of activity, and I'm finally able to tell you more about what on earth's been happening. I felt very strongly (as you may have guessed) that women need no soft play area within which to do business. Women can proudly stand shoulder to shoulder with anyone else in the business community and confidently and capably hold their own. But it's not just about my view, is it? Feeling somewhat fired up about the whole thing, I had a chat with my friend, client and co-conspirator, Susannah Schofield. The thing with Susannah is that she's an 'actions speak louder than words' sort of person, so I should have known at that point that things would escalate pretty quickly. And so, less than a month later, we've worked together to launch The Gender Debate, the largest survey yet to be held on gender in the work place. The survey is based on Susannah's supremely intelligent Dice Matrix model, software designed for gap analysis within businesses. Using the model, Susannah has devised two surveys - one for men, one for women. The results will allow us to identify the facts; do women want to be in leadership roles? Do men do a better job in power? Should gender quotas exist? Is there truly a gender gap in business? We want to find out the facts and gain accurate information on what's really going on in Britain's businesses. It’s time to stand up and have your views counted, so the questions raised in Parliament by Government and across our board rooms in business can really be answered. I'd love you to have your say. 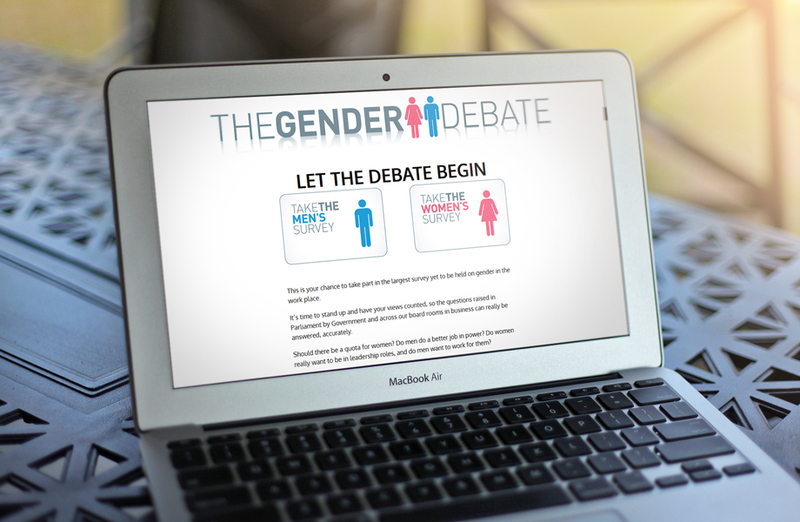 Take part in the Gender Debate - click here to take the survey.